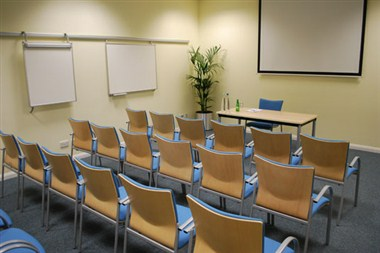 The Ark Conference Centre is a stylish, contemporary venue. 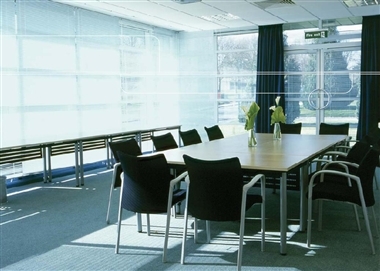 We can provide the perfect environment to make an impact and create the desired impression for all types of professional gathering from product launches, AGMs, sales training to one to one meetings for two people. 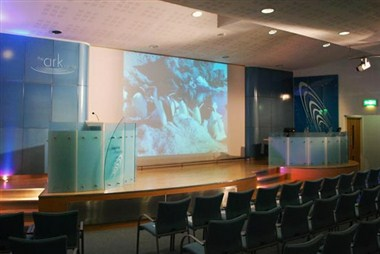 If you are seeking a venue for a large presentation, the 180 seat Squire Lecture Theatre provides an impressive setting offering state of the art projection systems, supplementary monitors, sound system – in fact all you need for the perfect conference. The food available at your event can be a deciding factor in the overall impression you create. 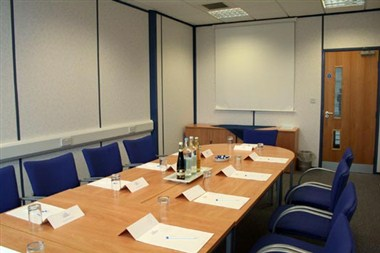 Thanks to our spacious dining facilities and experienced catering staff, your guests won’t be disappointed at the Ark. When it comes to hospitality, we understand just how important it is to have fast, efficient service - where you need it, when you need it. All our clients benefit from outstanding hospitality facilities as a built-in part of their cconferencing package, and we can cater for anything from teas and coffees to finger buffets and fine dining. What’s more, our full licence means we can even host cocktail parties for your guests.